As much as I love afternoon tea, it's not often you'd find me lugging off to Northumberland on a bus for one! But that's exactly what we found ourselves doing on my birthday last week after hearing nothing but amazing things about the fabulous food at the Running Fox. 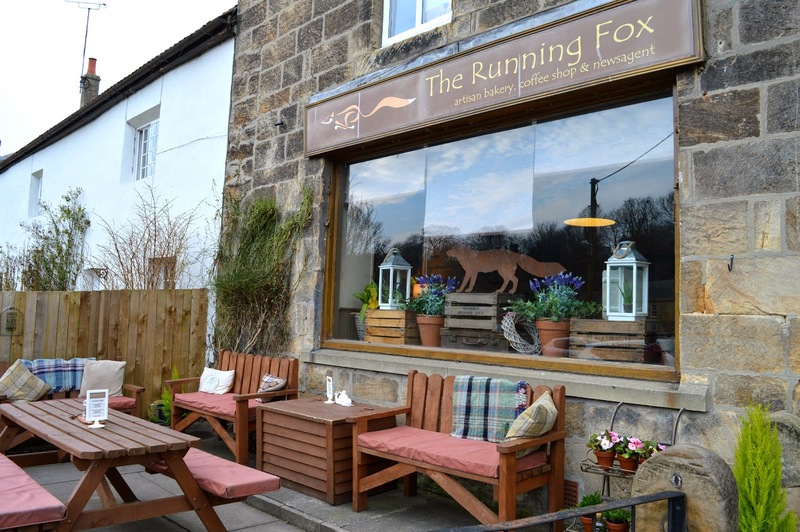 The Running Fox is in Felton, 24 miles north of Newcastle, in the Northumberland countryside. 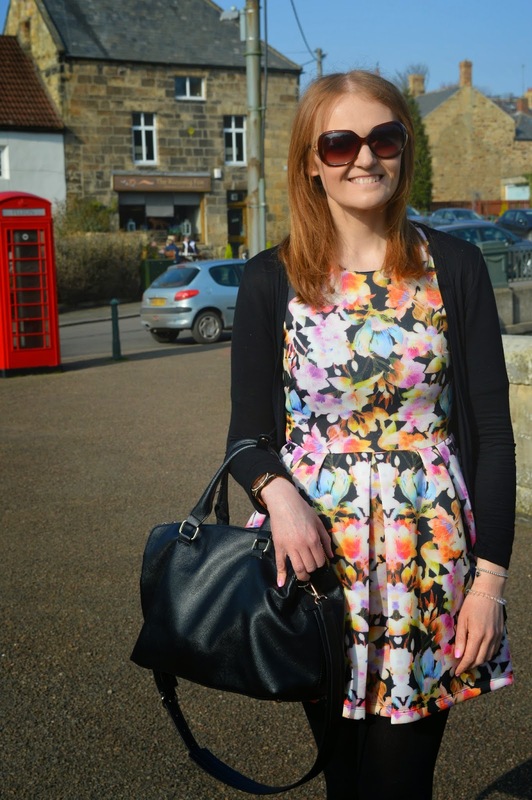 It takes just under an hour to get there by bus which is actually a rather enjoyable trip along country lanes and through the pretty town of Morpeth. Felton is small but so cute with pretty stone houses and a picture perfect river running through the middle of the village. We were a little early so went for a walk down to the water to say hello to the ducks. It's easy to get down to the river from the village and it's so relaxing watching the passing wildlife. Afternoon tea was booked for 3:00 pm and as we approached the Running Fox we were instantly charmed by the outside seating area. A few brave souls were sat outside enjoying the March sunshine but I bet in Summer time there's fights for tables. If we loved the outside we hadn't seen anything yet! Pushing open the door and entering the café we were greeted by friendly faces and the most delicious looking cakes. Our first job was to take a good look at what was on offer as we'd be making some pretty serious cake decisions later! We were shown to a table by the window and took some time to admire the beautiful furnishings. The window sill was adorned with plants, the walls displayed kitsch signs and we loved the massive clock above the fireplace. 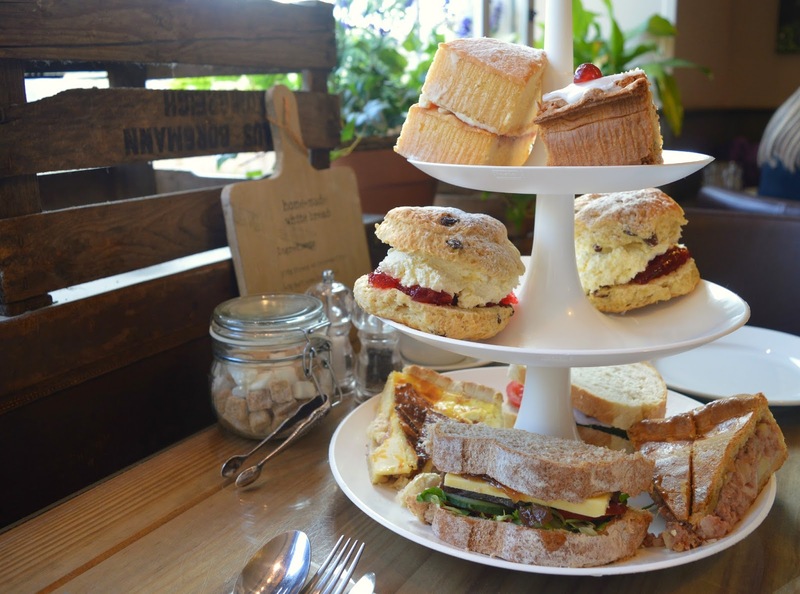 Afternoon tea for 2 at the Running Fox costs £20.00, an amazing bargain when you consider how much food is on offer. 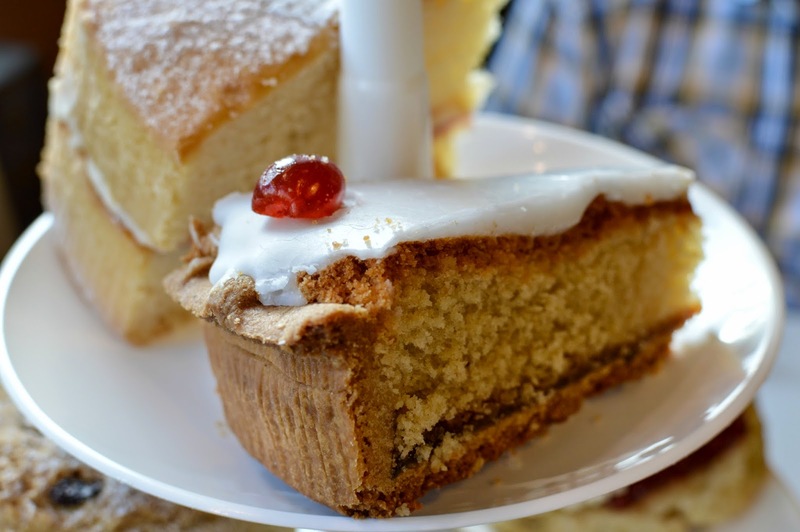 Sandwiches, slices of homemade pie and quiche, scones and freshly baked cake. This is no ordinary afternoon tea! 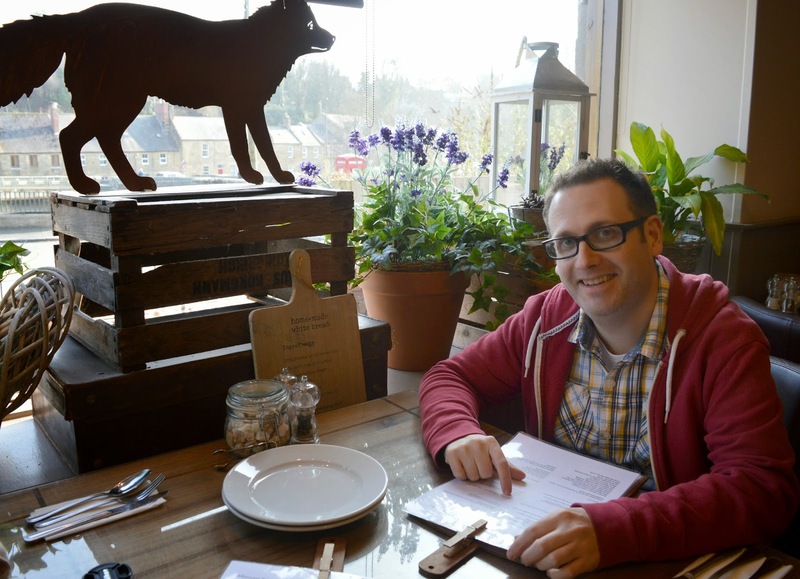 At the Running Fox you are in control of what food you get, so we were faced with a few difficult decisions! I'm not the best with food choices, I tend to be one of those people who ask to order last in a restaurant to optimise decision making time. We were given a menu full of sandwich fillings, a blackboard of pies and quiches and a counter of cakes to choose from. Once we'd perfected our choices it was a short wait for our cake stand to appear in front of us. I've seen a fair few cake stands in my time but nothing like this one. It was packed full of mouth watering homemade goodies and we couldn't wait to delve in. First up we attacked the sandwiches which were so huge they were like a meal in themselves. Simon chose the Local Sausage, Cheddar and Onion Chutney sandwich on granary bread. He let me have a bite (it was so lovely!) but he was pretty quick to whip it away from me. I chose Running Fox Ham, Cheddar and Pickle on white bread. 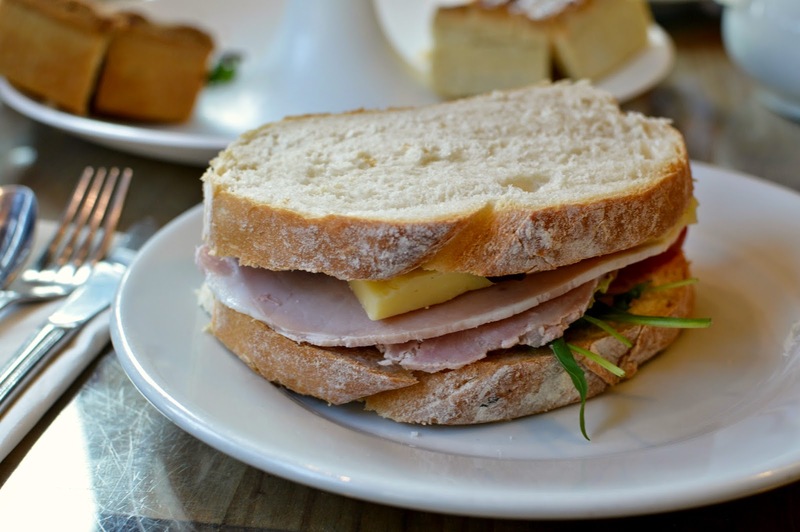 The bread was freshly cut and was filled with doorstep slabs of cheese, locally sourced ham and chutney. 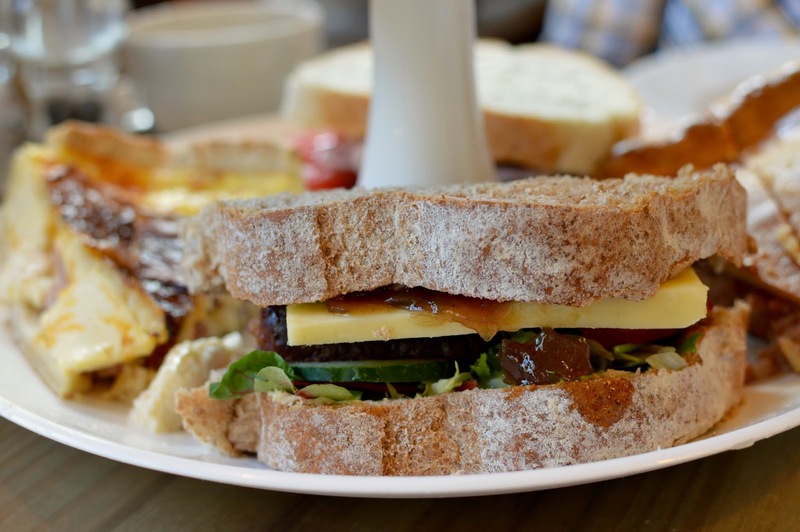 If only all afternoon teas had sandwiches like these - absolutely delicious! 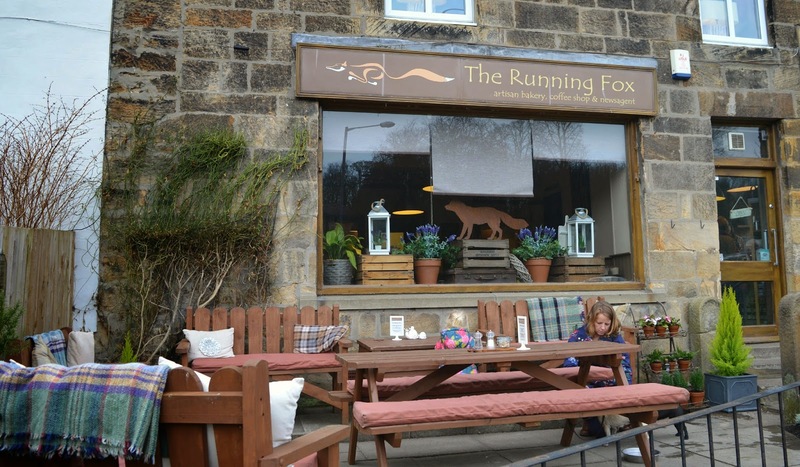 The Running Fox is the perfect afternoon tea if you love savoury as much as sweet. 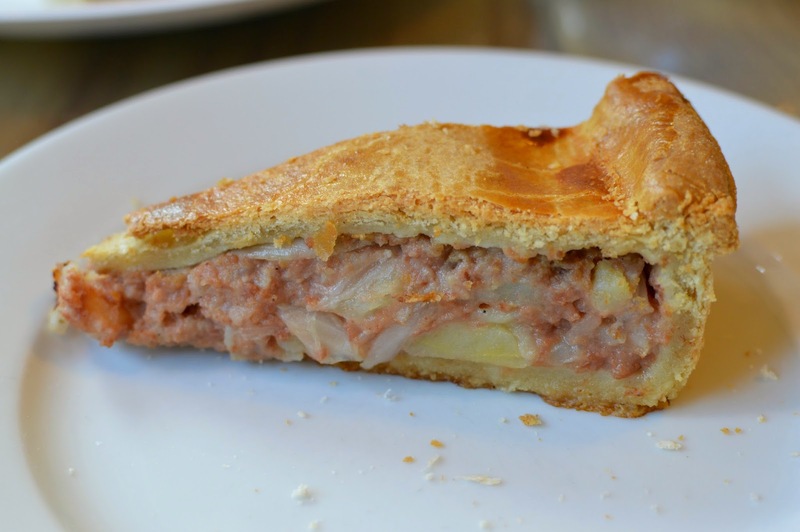 As well as sandwiches we picked a slice of pie and a slice of quiche. We had a bit of a debate when it came to pie choices. Simon was keen on the steak and ale but I played the "Birthday girl" card and got to order my favourite, corned beef. Warm from the oven the pie had a generous crust and a lovely meaty filling. Simon had to admit I'd made a great choice. We had a choice of cheese or plain scones. Our lust for cream and jam made that decision easy. The scones were huge and came fully loaded. They were the largest scones I've ever seen on an afternoon tea and they completely defeated us! We were gutted we couldn't finish them. Choosing a slice of cake each was a very tough choice, there were lots of my classic favourites on display and I changed my mind a few times. After some very serious thought I went for a slice of Victoria Sponge and Simon had the Bakewell Tart. The cake arrived in huge wedges and there was no way we were going to manage to fit them in after all that food so they were boxed up for us to enjoy at home. 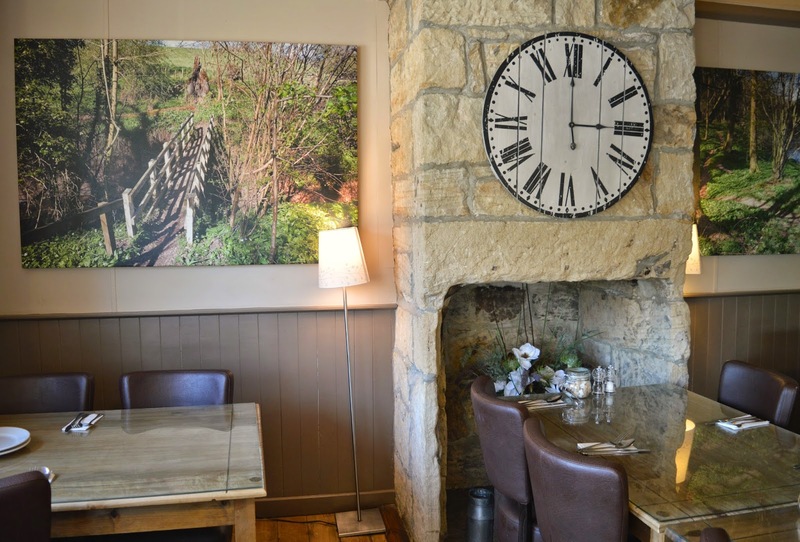 We loved our afternoon tea at the Running Fox, the staff were so friendly and attentive, our tea pots were constantly filled and the food was beautiful. 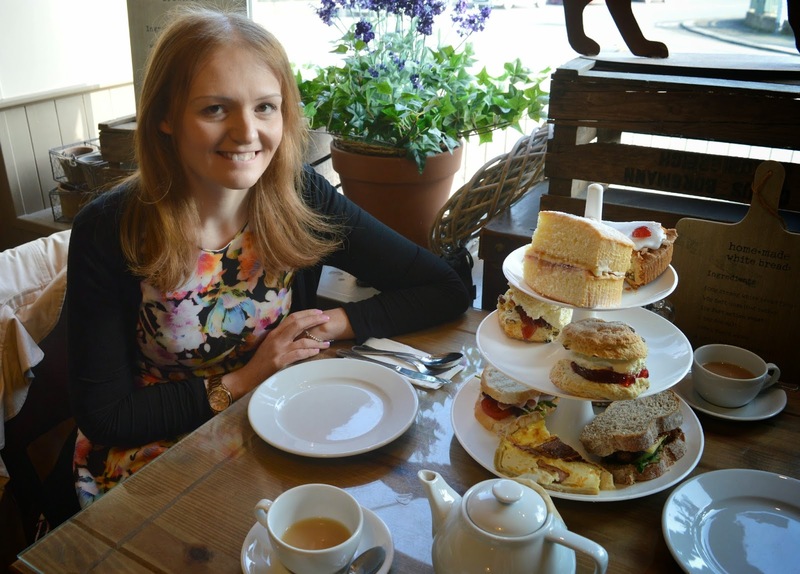 I couldn't have picked anywhere better to celebrate my special day and we're so happy to have found such a high quality afternoon tea to add to our list of favourites. I was actually asking if anyone ever manages to finish, apparently it's the people who look like they wont that do .. a few little old ladies have got through the whole lot! 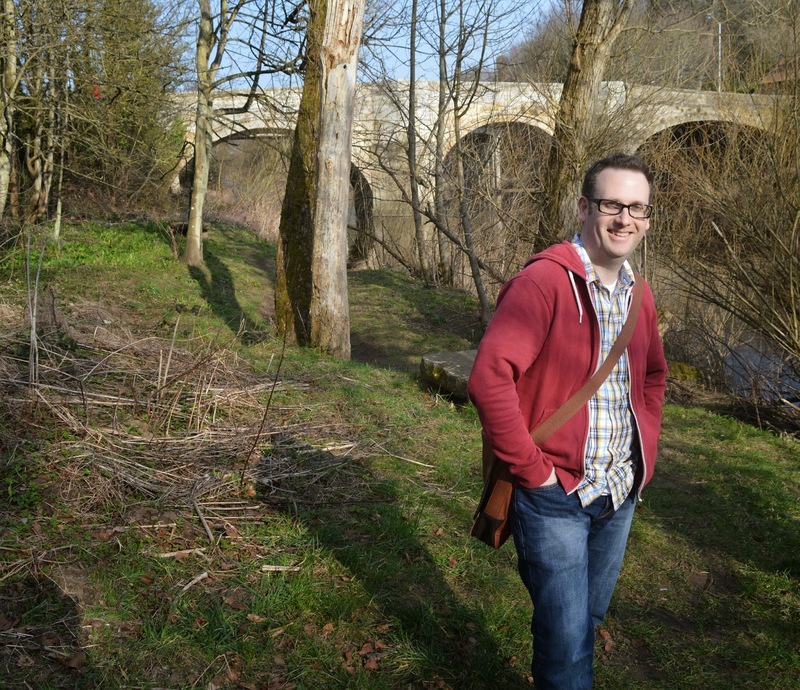 So pleased you had a good time - now you can dream about getting a car and visiting every weekend :D - I think we will be popping in quite a bit over summer and getting some scones and cakes to takeaway and enjoy at Warkworth Castle or Druridge Bay. This time next year we're going to have some wheels and there'll be no stopping us! Wow! Would you say one of your best teas? 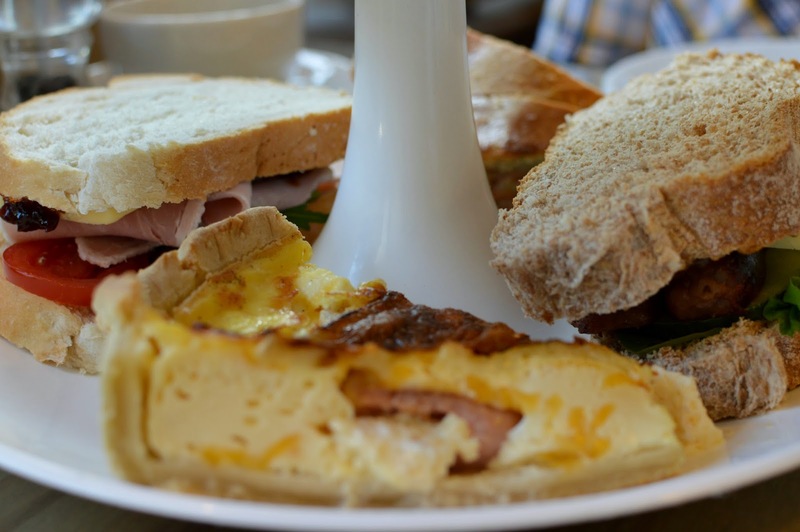 I love the look of the crusty bread on the sandwiches and scrumptiously generous cake! Most definitely! It's shot right up to the top 3 I think! Just amazing! Cor blimey, that looks delish! :) And happy birthday for last week! Definitely worth the trip out, but book a table - it's so so popular! It was completely full when we went and that was on a Thursday! I'm going here in a few weeks. SOO excited! Looks amazing! Brilliant! Let me know what you think! Ooo this place looks and sounds delightful - I adore afternoon tea, I think it is so English & traditional. Me too! I definitely have more than the average person! And that afternoon tea looks incredible! I'm very sad that I'm not local enough to visit to enjoy a large wedge of cake! Everything looks supersized and super delicious. 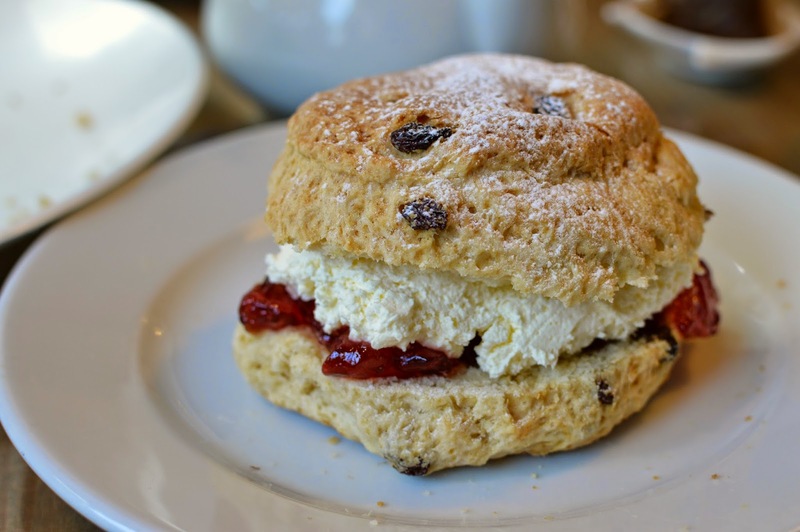 Your afternoon tea posts always make me crave scones and cream! Yeah afternoon teas in London are SO expensive and not always even that good! This one was far superior to any London hotel afternoon tea I've ever had! I know! I think this was actually the first time I've ever been given proper sandwiches on an afternoon tea! The Running Fox looks incredible! I am seriously in awe of those enormous scones - forget the sandwiches, those look like a meal in themselves! It's great that you got to box up your cakes to take away as well - a wee goody box for later is one of my favourite things about afternoon tea. We couldn't even manage our box of goodies that evening! We had to save them for the following day! SO yummy, it's a good job we went hungry! It's worth the trip out and being able to pick exactly what you want is amazing! Yesssss! Move it up and get there ASAP, I wish I hadn't sat on it for so long and gone sooner! Aw hope you had a lovely birthday Chloe - I LOVE your dress! 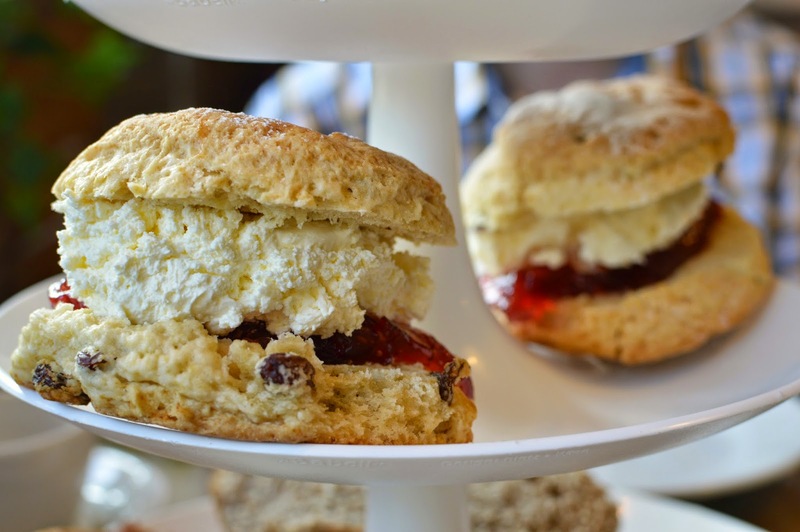 The tea sounds so fab, I'm going googly-eyed at those scones!